Experience a unique journey on the meandering metre-wide track of El Transcantábrico Clasico, through magnificent scenery, fabulously diverse cities and culture on this wonderful 9 night / 10 day holiday. 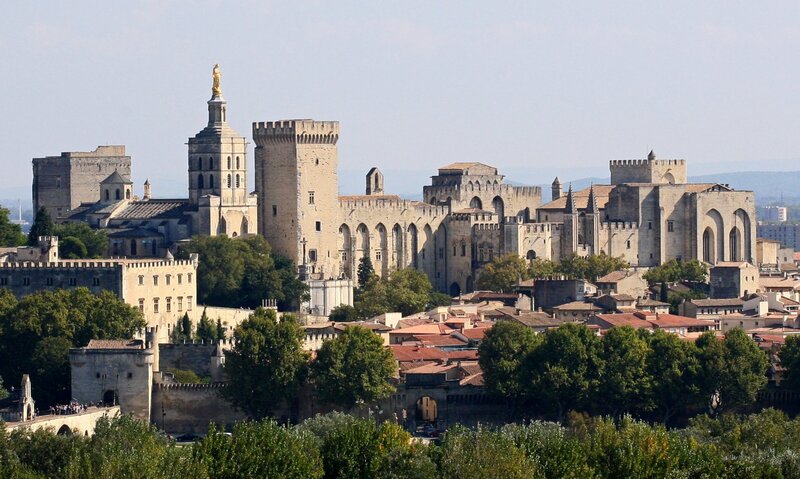 Your tour includes stunning Avignon, the ‘City of Popes’ with its fascinating history, impressive architecture and handsome squares. Then head south to the warmer climes of Madrid, with one of the finest art collections, a growing reputation for culinary excellence and an infectious energy and love of life before you travel north to the fascinating seaside city of Santander on the Atlantic Coast. 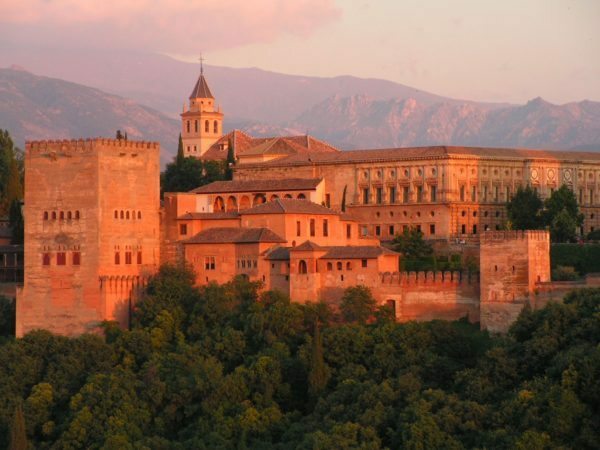 You then begin your 4 night journey west aboard the beautifully appointed El Transcantábrico train, along the coastline of northern Spain, before arriving into the famous pilgrimage site of Santiago de Compostela, with its Old Town UNESCO World Heritage Site. 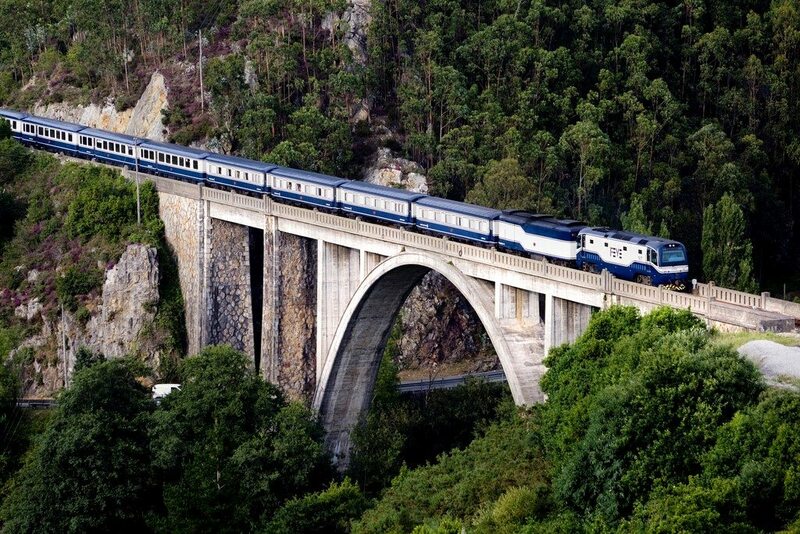 Experience a 9 night / 10 day holiday by First Class rail on daytime trains, including overnight stays in Avignon, Madrid and Santander, 4 nights in a suite compartment on board El Transcantábrico train from Santander to Santiago de Compostela and 2 nights in Santiago de Compostela with your own arrangements for your flight* home is from £2,850 per person based on 2 people travelling together and departing from London. 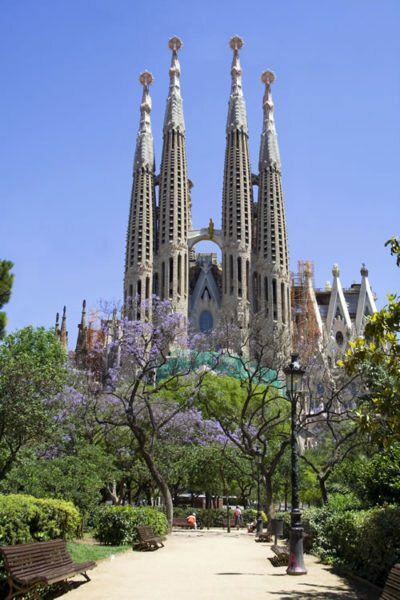 *Alternatively, if you would like to return to London by First Class rail from Santiago de Compostela which would include an overnight stay in Barcelona then the price of your holiday would be from £3,195 per person. Your holiday begins as you enter beautifully restored London St. Pancras International station. Take time to admire the stunning glass roof before you sit back, relax and watch the countryside glide past as you travel by Eurostar to Paris at speeds of up to 186mph. Enjoy the light meal and drinks served on board in Standard Premier Class (formerly 1st class). You travel south through France to Avignon, the ancient Papal city with its attractive architecture and pretty old town. Enjoy the changing landscape from the comfort of your seat as your train speeds south to Provence. On arrival at Avignon make your own way to your hotel for your overnight stay, the charming and centrally located Hotel de l’Horloge (4 star). Whilst in Avignon take the opportunity to visit the fascinating walled old town of Avignon and stroll among the maze of medieval streets and tree-lined squares. No visit to Avignon would be complete without seeing the Palais des Papes (payable locally) and the Pont St. Bénezet (famous from the children’s song). From your hotel next to the Place de l’Horloge you can watch the world go by from this attractive central square or visit the impressive Hôtel de Ville and Opera House, decorated with statues of Corneille and Molière. This morning after breakfast return to Avignon station and board your rail service for the journey south-west through France, into Spain and onto the fascinating city of Madrid. When you arrive in Madrid make your own way to your hotel for the night, the elegant Hotel Liabeny (4 star), ideally situated in the heart of the Spanish capital. This evening you may wish to dine in one of Madrid’s fine restaurants. This morning after breakfast you may have time in Madrid to explore the wealth of experiences on offer. 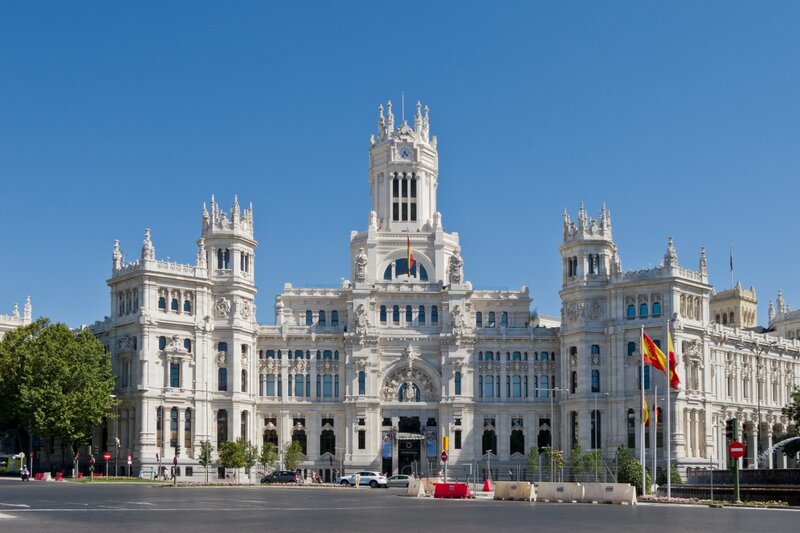 You might like to visit Madrid’s golden triangle of art: the Prado Museum (best for El Greco), the more intimate Reina Sofía Museum and Thyssen-Bornemisza Museum (for 18th– 20th century art), all located within striking distance of each other on the Paseo del Arte. Perhaps head down the Carrera de San Jerónimo, past the Parliament and onto Sol, in the heart of the city. From here why not take Calle Mayor to the Plaza Mayor and the surrounding wonders of the old Madrid of the Asturias, capped by the opulent Royal Palace. Then make your way to Madrid station for the journey north through Spain to the elegant city of Santander, for your overnight stay in the comfortable and highly rated Gran Hotel Sardinero (4 star). This evening you might have time for a whistle-stop tour of the city, through the historic quarter which includes a group of majestic buildings situated against an incredible natural backdrop of sea and mountains and onto the famous El Sardinero beach, the promenade and La Magdalena peninsula. Excitement builds this morning as you make your way back to Santander train station for the start of your El Transcantábrico Clásico journey. The reception begins at 08.00 am, where you meet the train staff and embark on this incredible journey. Breakfast is served on board as El Transcantábrico transports you to Cabezón de la Sal, from where a luxury coach will take you on a visit to the town of Santillana del Mar with its beautifully preserved medieval town. Next stop is the Neocave of Altamira, the finest realistic example of Upper Palaeolithic cave art. 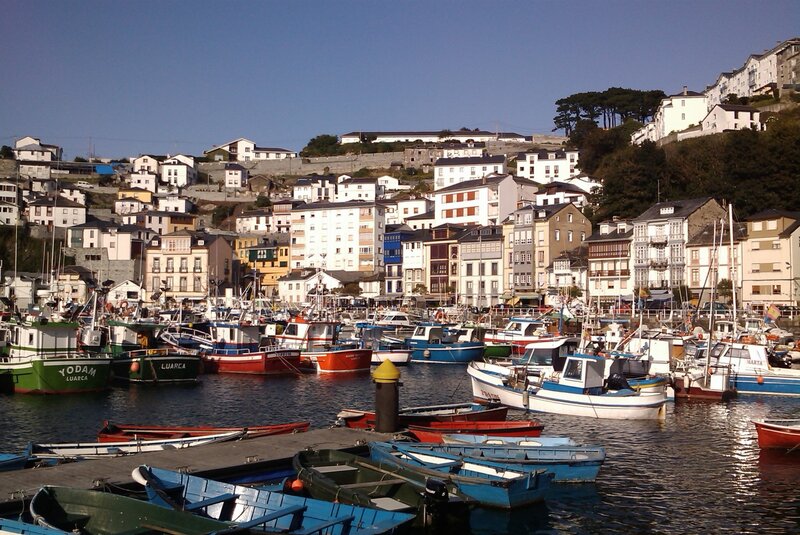 After lunch you travel again into Asturian territory, visiting the village of Ribadesella and its charming promenade. This evening dinner will be served on board before you enjoy an overnight stay in Arriondas. Today you visit the centre of the Principality of Asturias, on a journey by coach up to the Picos de Europa National Park. 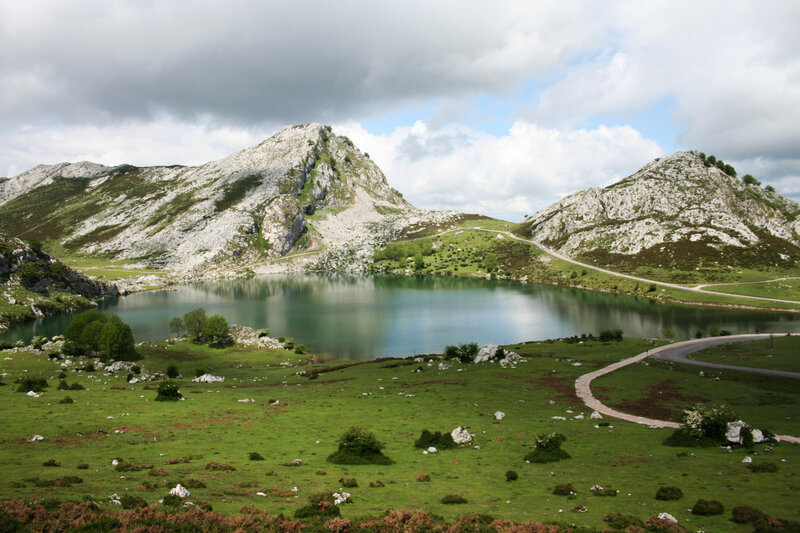 The first stop is picturesque Lake Enol before a visit to the sacred place of the Shrine of Covadonga to hear its legendary tales. 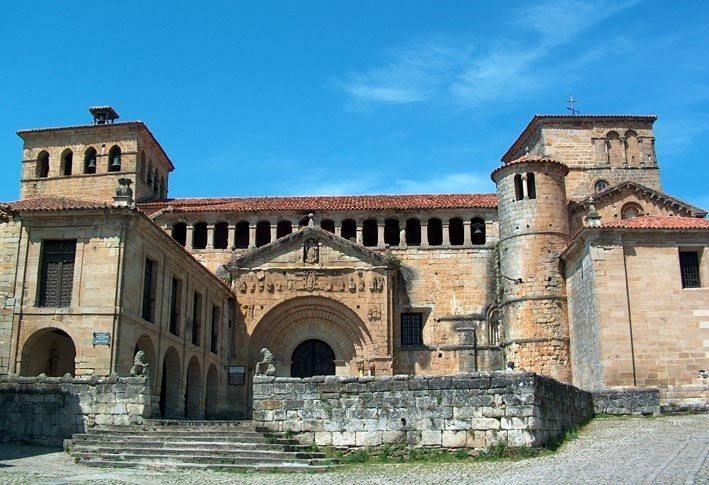 Lunch is served on board before your journey to the region’s capital, Oviedo, the highlight of Asturian Romanesque art, featuring gems such as the basilica of San Julian de los Prados. 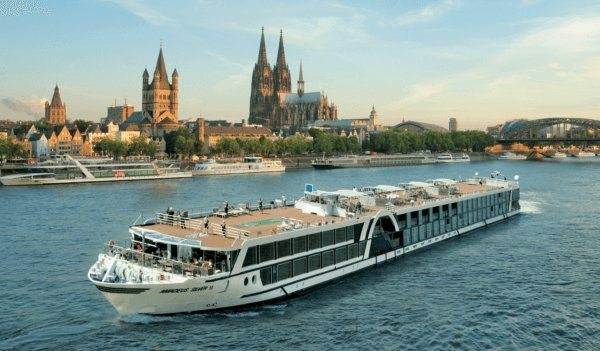 This afternoon you can enjoy some free time or join a tour of the city before dinner is served this evening back on board. Your overnight stay this evening will be in Candás. Today you have the chance to discover Avilés, an ancient city with a precious old town, and Gijón, a city that opens up to the Cantabrian Sea and is alive with cultural events. After visiting both towns, you return to El Transcantábrico to continue the journey to Luarca, known as the White Town of the Green Coast. This evening you have some more free time to explore this charming town, where you will also have dinner and stay overnight. Enjoy breakfast this morning as you journey to the historic town of Ribadeo, in the Galician lands, bordering Asturias. 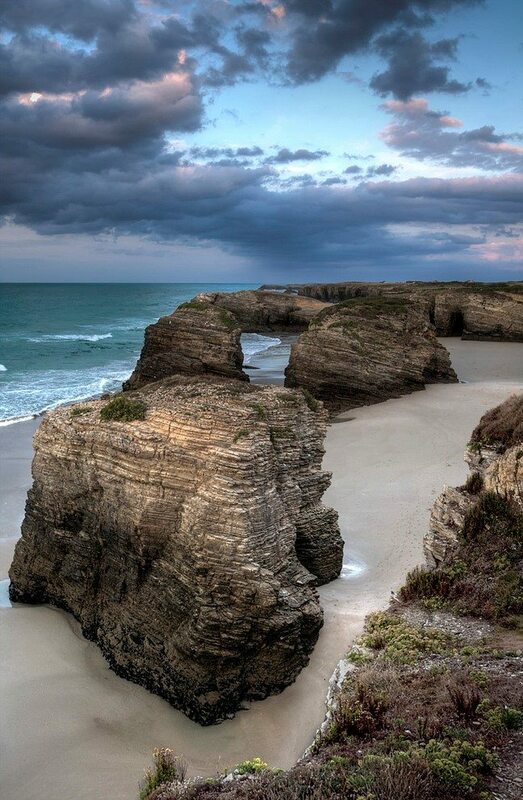 The luxurious coach will then pick you up for the tour along the coast to Las Catedrales Beach, one of the most spectacular beaches in the world. You might like to spend this afternoon sightseeing in Ribadeo before you return back to the train for lunch and continue the journey to Viveiro, for an evening city tour before dinner and your overnight stay. Savour your final breakfast on board before the train makes its final stop in Ferrol, where you bid farewell and join the comfortable coach trip to Santiago de Compostela. Here you are provided with a city tour in this historical town, goal of devotees for over a thousand years, where you can admire its countless artistic jewels. After the tour make your own way to the AC Palacio del Carmen Autograph Collection (5 star), a stylishly decorated former convent, ideally located near the centre of historic Santiago de Compostela and your hotel for the next 2 nights. 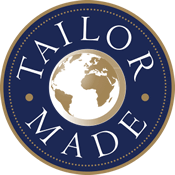 This evening choose from a wide range of restaurants on offer for dinner. You have a full day to explore this mesmerising city and visit the most famous of its sights. 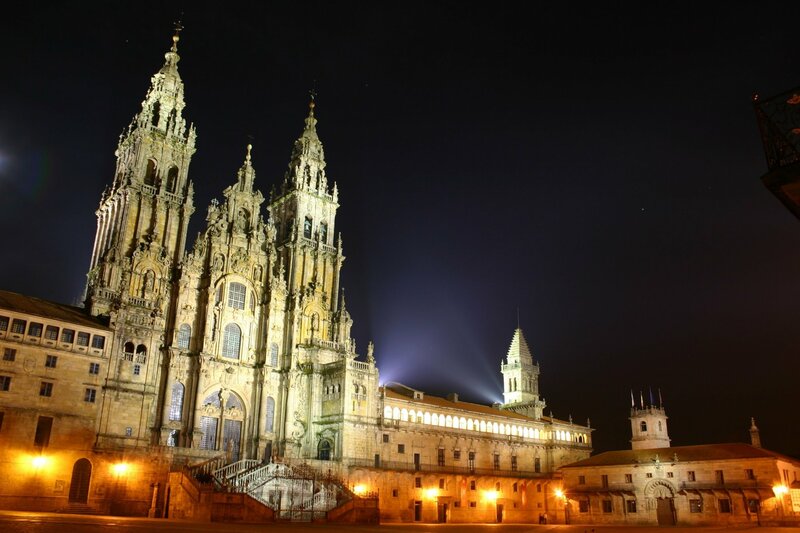 Make sure you allow plenty of time to soak up all aspects of Santiago de Compostela. Perhaps start by taking a stroll through its maze of stone paved narrow streets which make up its special atmosphere with a mix of students, pilgrims and local, friendly people, before heading to the magical Cathedral of Santiago de Compostela and its square Praza do Orbrodoiro. Then head to the Museum of the Cathedral, where you can access the Cathedral cloister, in which canons continue to be buried, parts of the original Archibishop’s palace and a balcony on the third floor overlooking Praza do Orbradoiro and nearby buildings. There are plenty of options for dinner from wonderful gastronomic restaurants to cosy bistros and tapas bars. Reminisce over the wonders you have experienced on your 9 night holiday before you make your own arrangements for your flight home. 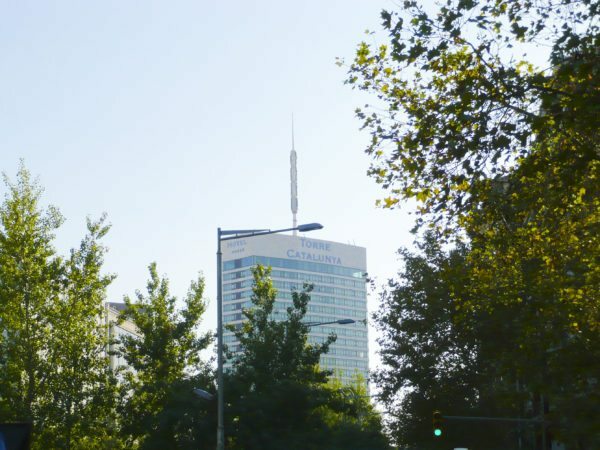 Gran Hotel Torre Catalunya (4 star), ideally located next to Barcelona Sants train station, within a short metro ride from the centre of the city. This morning after breakfast make your way back to Barcelona Sants station for your journey to Paris. You travel north on the superfast TGV as it speeds you through Spain, into France and onto Paris. On arrival at the Gare de Lyon you are met by your private taxi which transfers you across Paris to the Gare du Nord for your return journey. Here you join the Eurostar service and head for home. Take time to reflect on the magnificent sights, sounds and tastes you have enjoyed on your holiday as you sit back and relax with a light meal and drinks before your arrival into London St Pancras and the final stage of your journey home. 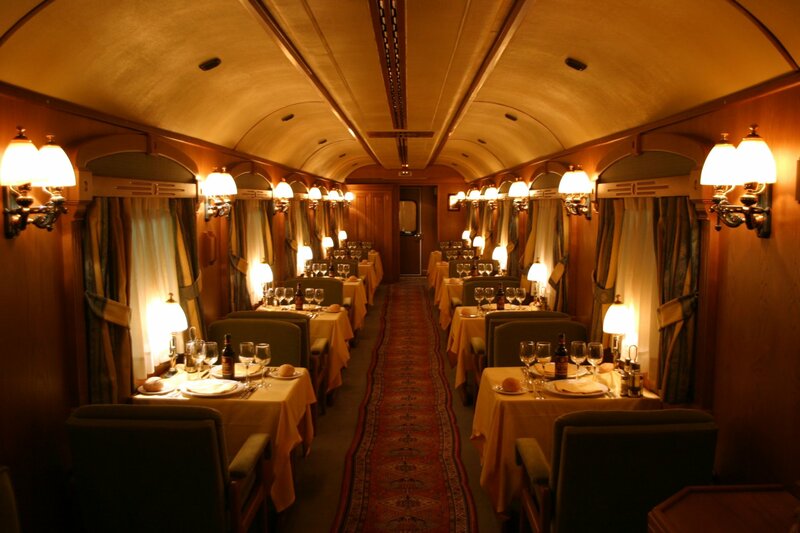 The oldest tourist train in Spain, El Transcantábrico, is synonymous with elegance and comfort, and takes travellers back to the golden age of the great railway journeys, accompanied by all comforts and services of the 21st century. Its lounges and cabins, carefully remodelled and decorated, display all their majesty on the winding metre-rail tracks. An evocative and pleasant atmosphere, a first-class crew and the rich culture and cuisine of Castile and Leon, the Basque Country, Cantabria, Asturias and Galicia are the pillars that make every trip on El Transcantábrico Clásico a real pleasure for the senses. 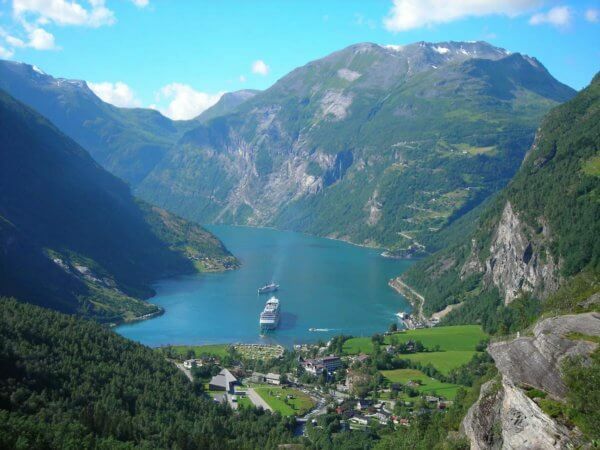 Each cabin is fully-equipped to enjoy a comfortable stay onboard. All have independent air conditioning and a full ensuite bathroom. The elegant and evocative lounge carriages are used to serve breakfast, lunch or dinner, to enjoy a drink or to socialise with fellow travellers. 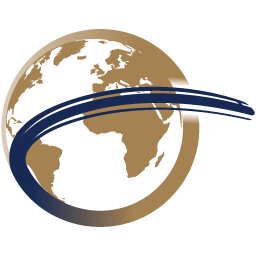 5 night's accommodation in 4 and 5 star hotels with breakfast each day, including 1 night in Avignon,1 night in Madrid, 1 night in Santander and 2 night in Santiago de Compostela. 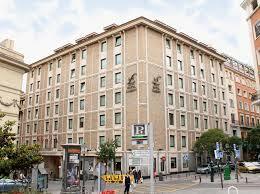 The Gran Hotel Sardinero (4 star) enjoys a seafront location, set 20 yards from Sardinero Beach. Each of the hotels 102 elegant rooms feature classic cream décor and include a minibar with welcome water and soft drinks, a safe, free Wi-Fi, satellite TV and a private bathroom. Many rooms also offer views of the Cantabrian Sea. The hotel’s charming restaurant offers traditional, regional cuisine while the cafeteria offers light snacks and refreshments. There are also lots of pleasant lounge areas where guests can relax. Buses and taxis to the centre of Santander, 3 km, pass just outside the hotel. The AC Hotel Palacio del Carmen (5 star) is housed in a former convent, which has been carefully restored to create a luxury hotel near the centre of historic Santiago de Compostela. Ideally located within walking distance of the city’s monuments, including the world-famous Cathedral, this luxury hotel has a tranquil atmosphere – allowing guests to enjoy a relaxing break in this beautiful Galician city. Guests can wander through the gardens or spend the evening on the terrace, or alternatively unwind with a session in the gym. The hotel also boasts an indoor pool with salted water, located on the ground floor. Each of the hotel’s 74 rooms and suites feature comfortable beds, a plasma TV, minibar and en-suite bathrooms, with some rooms offering quiet views of the hotel’s garden.